When it comes to your gaming performance on the computer, there are three essentials which any serious gamer worth his or her salt will need to consider, and I am speaking for peripherals here instead of the slew of high performance parts required in your liquid cooled machine. A gaming keyboard that will allow your fingers to reach those keys in double quick time, ensuring that these keys do not jam up at the most crucial moment, a gaming mouse which will be able to keep up with your crazy fast reflexes, and of course, a gaming mouse mat to ensure that your gaming mouse achieves its maximum performance capability – limited only by your skill. If you already own all of that and are unable to make any headway in your game, then perhaps it is time to reconsider this potential “career path” and concentrate on your day job instead. Still, for those who are still searching for the “perfect” gaming mouse mat, here is the Razer Goliathus gaming mouse mat for you to consider. The Razer Goliathus gaming mouse mat has just received a redesign recently, where the latest gaming surface will be able to further distinguish itself from other gaming mouse mats, where it will not only maintain the beloved speed-enhancing and control-precise features found in its predecessor, it will also be able to offer a maximum level of performance so that serious gamers who make the cut might be able to use this as the launch pad to gaming stardom. Thanks to a dense, anti-fraying, long-lasting stitched frame, the surface will remain sharp for consistent tournament performance all the time. There is the “Control Edition” of the Goliathus that will boast of a heavy weave with micro-textures on the surface, delivering just the right amount of friction so that your gaming mouse will work at its most efficient. Available in small, medium, large and extended sizes, it will retail for $14.99, $19.99, $24.99 and $34.99, respectively. Oh so they updated their old one? Interesting. I personally prefer the Steelseries QcK mouse pad, but this one is great too. I especially like how Razer made the extended edition for both keybord and mouse. 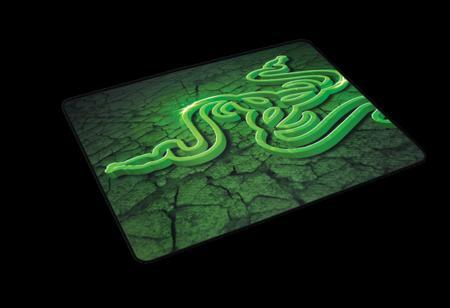 What an awesome mouse mat!